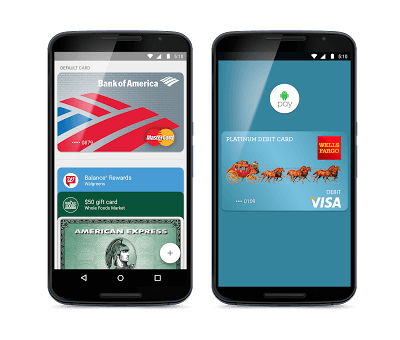 After months of waiting, Chase has finally started supporting Android Pay. The support makes Chase one of the last major banks in the United States to support the tap-to-pay app and frankly put it behind smaller, regional banks in supporting the service. Why the delay is unclear as the bank has been supporting Apple Pay and Samsung Pay for some time. It was just a matter of them getting around to supporting Android Pay. If you are a Chase banking customer and have a device that supports the service, you can now add your debit or credit cards to the app to be used at touch terminals for payment. start using the service at locations that accept it. Remember that Apple Pay and Android Pay use the exact same technology so if you see an Apple Pay logo but not Android Pay, you can still tap-and-pay at the terminal. Also keep in mind that in order to use the service, you have to be running Android Marshmallow or later on your phone, have a device that has NFC and of course the app. If it didn’t come pre-installed on your phone, you can download in the Play Store.